Come and join us for a great afternoon of wine, food and music. Over 40 wines will be offered served in a Riedel glass for you to keep! Food will be served between 4pm and 6pm. Authors will be there to talk to you about their books. Books will be available for purchase and authors will be available to personalize books purchased. 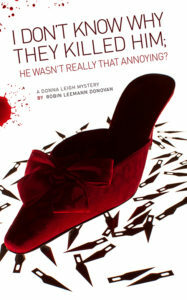 Robin Donovan will be the guest speaker at FemCity, she will talk about the Donna Leigh Mysteries. Kim Isherwood’s hypnosis and intuitive workshop has added a book club. They will be discussing the newest Donna Leigh Mystery: I Don’t Know Why They Killed Him He Wasn’t Really That Annoying. Meet more than 75 local authors and publishers at OPL’s 5th annual Author Fair! 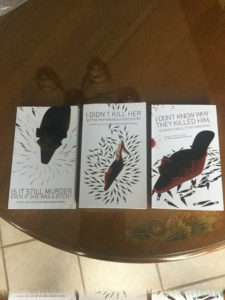 Throughout the event, participants will have access to a number of resources for writers, as well as the opportunity to meet authors, buy books and have them signed. Authors interested in participating can register here. Join us for a fun afternoon! Join us at 7pm for an enjoyable and entertaining book club. And I will do a reading. Also – check my blog for the Pre-Authorfest Interview!